A Most Violent Year, the third film from independent writer/director J.C. Chandor is so chillingly precise that one could be mistaken for thinking that it is the relic of a bygone era of movies. However, this is not a disparaging remark upon the film because rather than being a stylistic exercise in directorial flexing, it proves to be a harmonious virtue in the film’s favour. The picture tells the story of an immigrant turned businessman Abel Morales, who is trying to keep his business stable in the face of escalating problems and a wave of record breaking violence in 1981 New York City.From the title alone, one could make the meaningful assumption that the film is going to be a dripping blood bath of gargantuan proportions. However, this proves not to be the case. The picture instead proves to be a fascinating character study of Morales. He does not want to embrace the Mob way of life, because in his mind that is giving into not only the wrong way of being a businessman but also the irrational, violent nature of man. It is an attitude that reflects in all aspects of his company. There is a plot point of his truck drivers having constant attempts on their lives, and a close friend advises arming his employees, an act he sees as inherently wrong. Additionally, his desire to be legitimate, also has other deep seeded reasons. Ultimately he wants to show that his way is the right way as a means of asserting masculine power and control. His wife, Anna, has ties to a powerful Mob family, and it is a fact that has an ominous presence throughout. Oscar Isaac’s performance is truly incredibly, feeling at times, like a young Al Pachino in mannerisms and cadence. However, this is not a carbon copy, as Isaac’s great subtly particularly impresses in a lot of moments. For example, near the end, there is a scene when he has a meeting with all the bosses of respective companies. During this scene, he is making a speech and Isaac’s great balance of respectability and casual, subtle nastiness is commendable, and an exhilarating piece of acting. 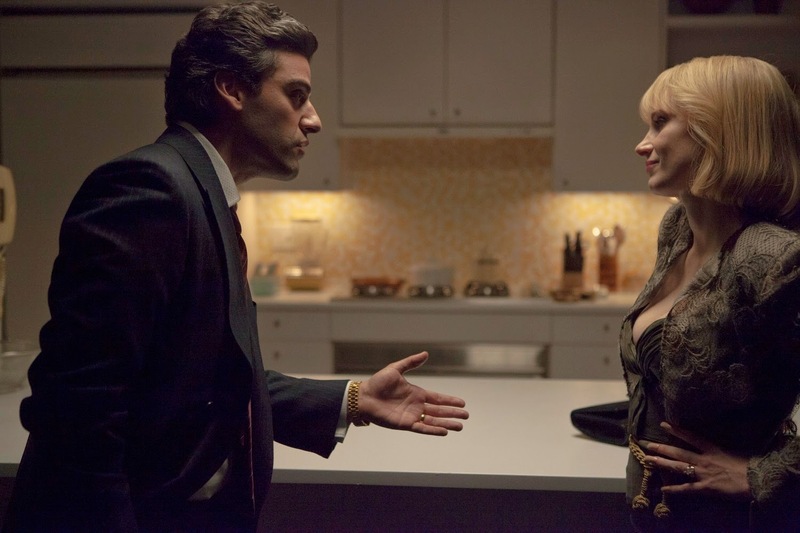 The presence of The Godfather is felt throughout, A Most Violent Year. However, it feels like a tightly constructed, less grandiose version of the iconic film, as well as thematically rich in its own right, and that is a triumph. This entry was posted in Uncategorized and tagged J.C. Chandor, Oscar Isaac. Bookmark the permalink.